In 1970, the Morrison Hotel in Downtown Los Angeles was immortalized by The Doors album of the same name. On the album’s cover, the band was photographed through the window of the lobby with the hotel’s painted signage serving as the album title. Now plans are in the works to restore the 102-year-old building at 1246 South Hope Street, in Downtown LA’s South Park neighborhood. It has sat vacant for the past eight years; before 2008, it served as low-income housing. Urbanize LA reports that developer Hollywood International Regional Center wants to reopen it with 80 hotel rooms, ground level retail space, a fitness center, and lounge, with construction scheduled to start before the end of 2017. Even though it’s been empty for a number of years, the redevelopment would constitute a loss of low income units, so the developer would be on the hook to either build affordable units off-site or pay a fee “equivalent to site acquisition plus 80% of construction costs.” According to Urbanize LA, if the developer chooses to build low income housing off-site, it would assist the Skid Row Housing Trust in building a five-story, 111-unit project at 401 East 7th Street. 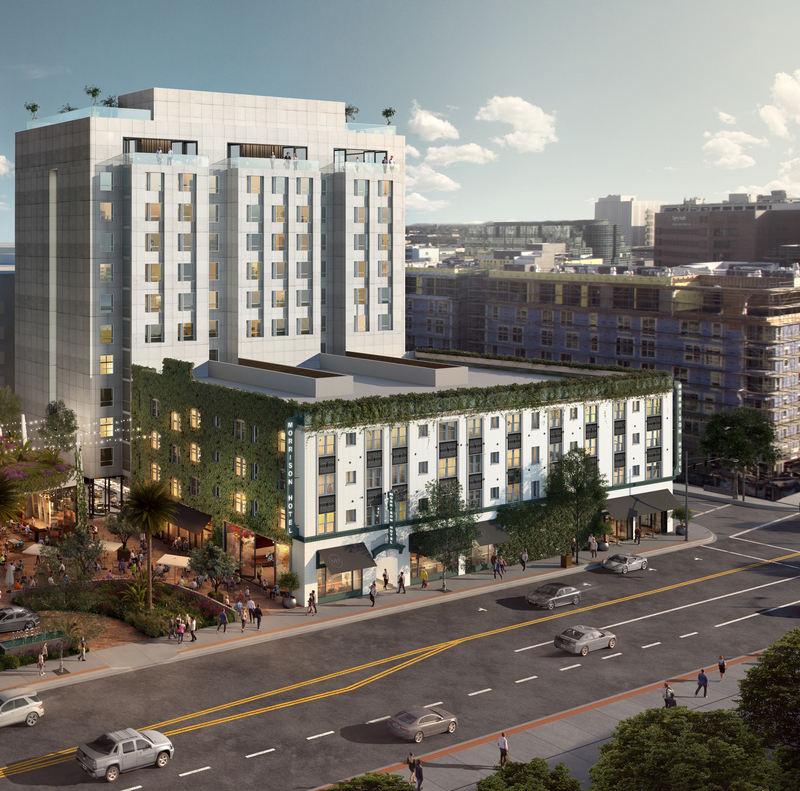 Hollywood International Regional Center is taking on the revitalization project, adding the Morrison to their other two hotel projects in the works, the upcoming Dream and Thompson hotels in Hollywood. So if that Doors photo had been taken in the next few years, instead of in 1970, when the seedy joint charged $2.50, it’d look a lot different. In the near-future scenario, the Lizard King and company might find themselves seated in a Chipotle, a shared office space, or any number of modern retail ventures that have become synonymous with DTLA developments.